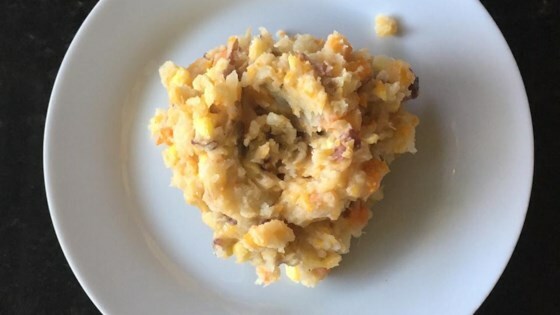 "Quick, easy and delicious mashed potatoes with corn and carrots." Even with added bacon this was nothing interesting. These potatoes are awesome! I used extra jalepenos and a little milk. Will definately make again.